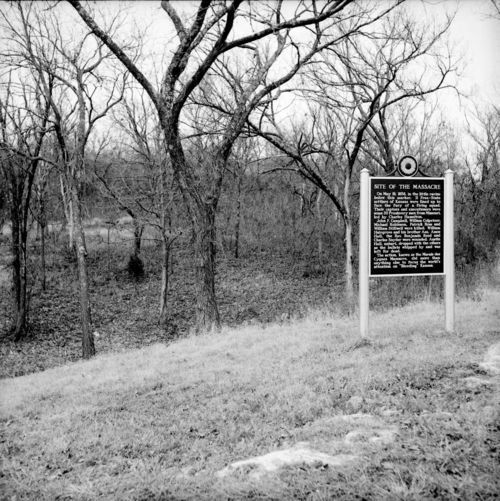 A photograph showing Marais des Cygnes Massacre park and site marker, Linn County, Kansas. At this location, five free-state men were killed by Missourians on May 19, 1858. The park is owned by the State of Kansas and operated by the Kansas State Historical Society.